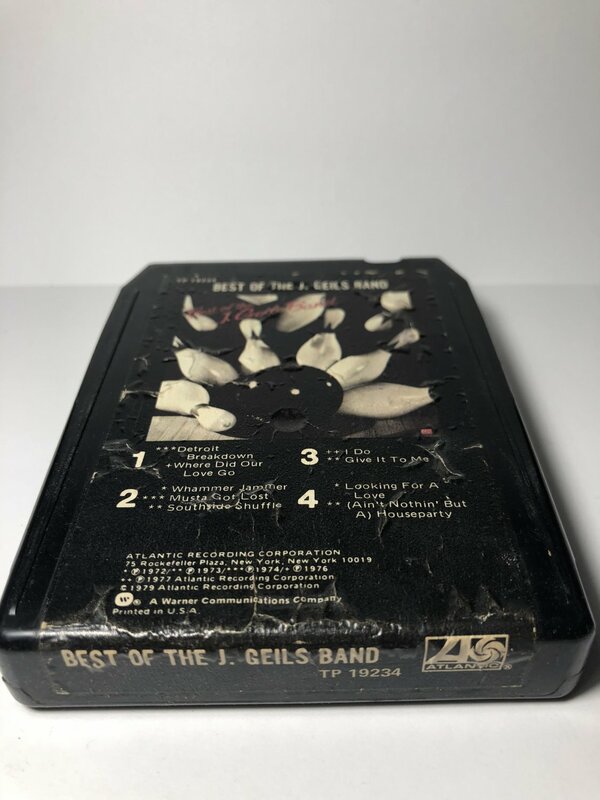 Restore Your Own - Non restored 8-track tape with no warranty on play-ability or exterior condition (please view images carefully before purchase). This 8-track tape has NOT been restored to play-ability, once purchased you would be responsible to restore this tape to full play-ability. Please keep in mind this tape is just one of many titles of the same name that I have in back stock or it cannot be listed to the fully restored category due to exterior issues like drill holes, gouges, writing on the labels, wrinkled torn labels or it is just not worth the time to restore the tape and list it to the website due to lack of interest in the title. This tape may need new pads, foil splice or some type of internal work like lubrication, audio restoration, tension adjustment in order for it to play properly. By purchasing this tape you will be responsible for the full restoration of this 8-track tape. 8-track tape restoration self help videos can be found on Youtube, if needed. Foam pads, foil splicing tape and felt pads can be found in the T-shirts category of this website. This tape is being sold AS-IS with no refunds or warranties of any kind being implied or expressed. This 8-track tape will ship to you USPS Media mail, the more tapes you buy, the better the price due to less postage being spent. Good luck with your 8-track tape restoration and always keep enjoying the music.